Seven studies bringing you face to face with the surprising, powerful, welcoming, joy-bringing Savior of the world. Luke wrote his Gospel to offer his first readers, and his readers today, certainty over the truth of the gospel, and joy that God's promises have been fulfilled with the coming of his King. 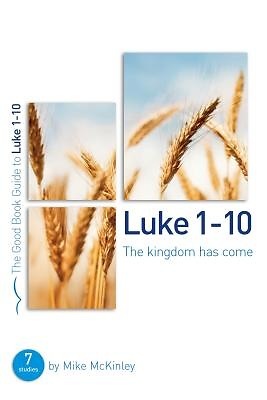 With a close attention to the text and a focus on real-life application, Mike McKinley brings face to face with Jesus in a way that is fresh and compelling for both experienced and new readers of the first ten chapters of Luke's Gospel.